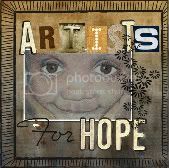 So many people love Artists For Hope baskets. Here is a taste of the beauty that comes from the mountains of Haiti. This is Wensky. He was taken to Real Hope For Haiti a couple weeks ago. This is what RHFH wrote about him when he first arrived. Wensky is from the island of LaGonave. His papa died several years ago and his mama died about 1 year ago. He has 2 other siblings but has not seen them in years. They live with other family members. When his mom become ill they told her it was not a sickness for a doctor and she need to go to the hougan for treatment. Wensky was with her during this time and she stayed their until she died. When Wensky began getting sick several months ago he was living with his cousins family. They kept encouraging him to return to the same place that his mother has died at. A few weeks ago he decided that he did not want to go there. His mama had some friends on the main land in Haiti and he had been to their home before. He snuck on a boat and traveled over and had $2 in his pocket. Once he got to the main land he used the $2 to get a moto ride to his mama friends house. They helped him find one of his aunts that lived in the area. The family was not interested in finding help for him so his mama’s friends brought him to the clinic. The local judge was called to talk to those responsible for him to figure out the best solution for him right now. He is HIV positive and we are searching for the best option for him and his situation. He was obviously extremely malnourished and they weren’t sure he was going to live very long. The staff at RHFH often say how hard it is with the older kids to be able to hear their stories come from their own little mouths and to hear how much they are suffering. Wensky was loved, cared for, and fed for a week at RHFH. They weren’t sure if he would make it, but they did everything they could and he slowly got stronger. A week after he arrived he was able to walk to the office of Lori and Licia and sat down by them. He showed them he could read out of a children’s Bible and they were able to share with him how many people have been thinking about him and praying for him. Sometimes the suffering we see is so hard to deal with. It makes it worse when a child can talk and tell you what they have experienced and been through. Wensky is one of those kids. He has a bad case of shingles on his leg. There are several places that have holes and large areas that needs to heal. Through it all he still has a smile. God bless this little guy and help him heal quickly. Please continue to keep Wensky in your thoughts and prayers. What an amazing transformation in such a short time thanks to RHFH. I love to see these kids heal and then I always end up thinking “what if they weren’t there to help these kids?” So many more children would lose their lives way too soon. Do you know someone who loves to create? Did you know you can help kids like Wensky just by donating the items you make? 100% of the profits go to help. Please share this with your friends and think about donating. Such a simple way to save lives in Haiti.